This post was written by my daughter, Sienna. All thoughts, opinions and words are her own. This post was not sponsored, nor is it part of a partnership. 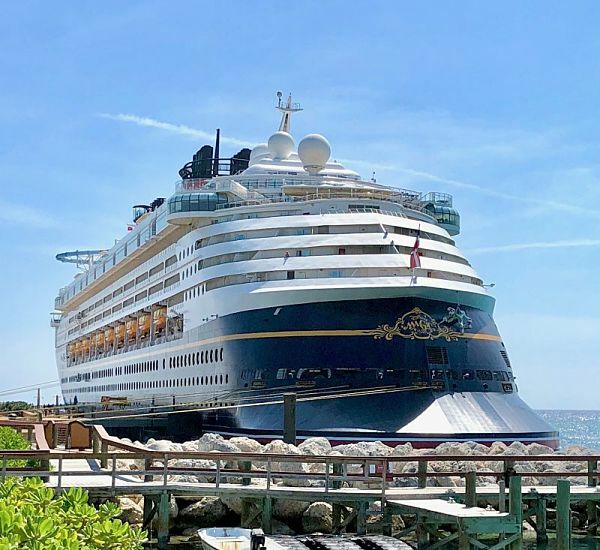 Have you ever been on a Disney Cruise? No? Well, you’re in luck! 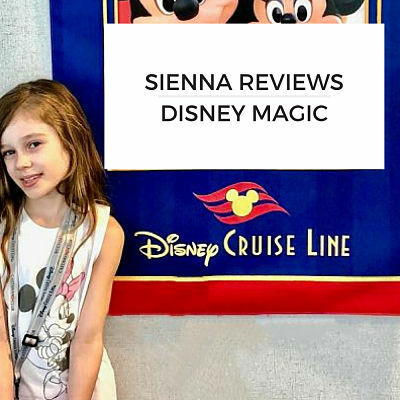 My name is Sienna and I would like to tell you all about the Disney Cruise I went on with my family. 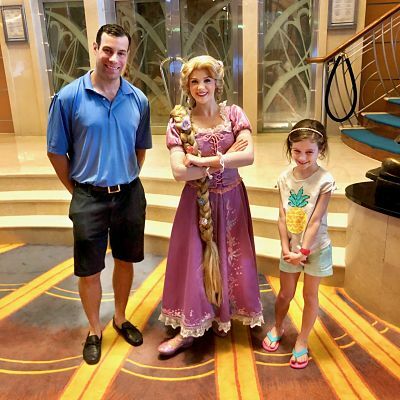 We went on a 5-day cruise on the Disney Magic cruise ship with Disney Cruise Line. Our ship sailed to Key West, the Bahamas and Castaway Cay, and we spent one whole day at sea! It was the best ever! My favorite part of the Disney Magic cruise my family went on was dinner at the Animator’s Palette. It was my favorite restaurant because I loved watching as Disney characters were sketched, colored, and lastly, came to life on screens all around me. For example, one screen might draw Belle, color her in, and then show the scene of her dancing with the Beast! Cool, right? The Kids Club on the Disney Magic cruise ship was fantastic! 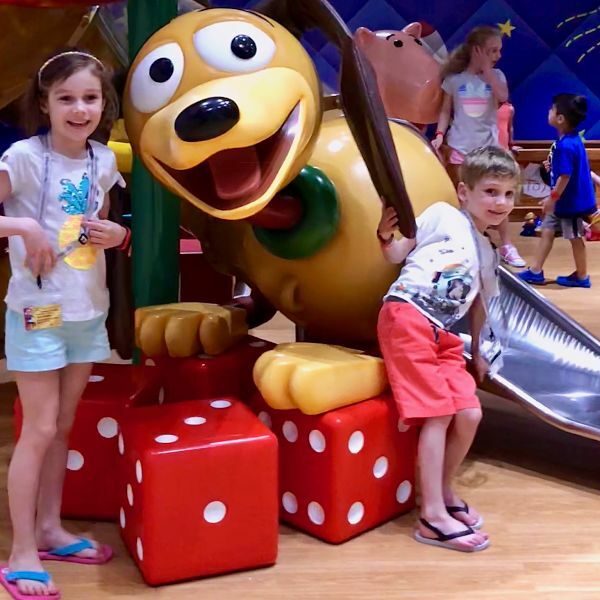 When me and Trent were dropped off at the Kids Club we played on iPads (most games were Disney), they also had arts and crafts, an indoor play space and Slinky Dog slide, and Disney characters would pop in to play! My brother loved it so much that he was begging my parents to drop him off so he could go to Avenger Academy. The food at the Kids Club, wasn’t my favorite. You can’t have a peanut butter and jelly sandwich, and I would have preferred that to a hamburger and fries. It just didn’t taste the same as all the other food on the cruise ship. 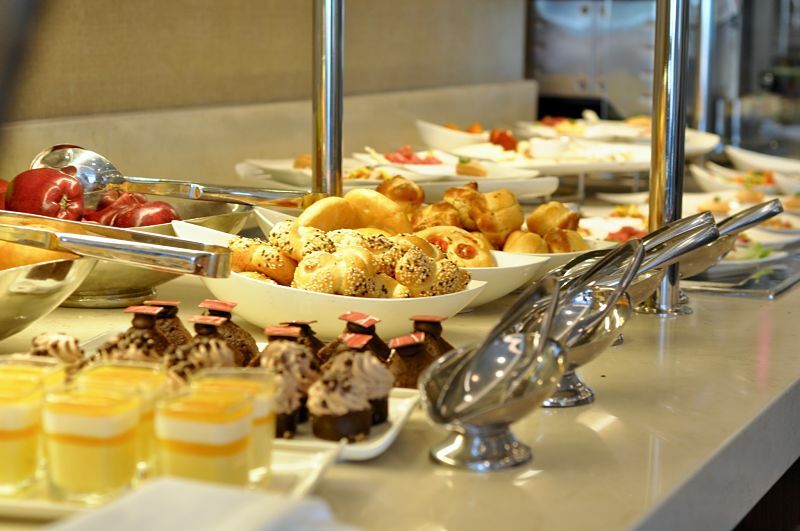 If you are a Concierge guest, then you can go to the Concierge Lounge. The Concierges, Andy and Kemisha, are super nice. 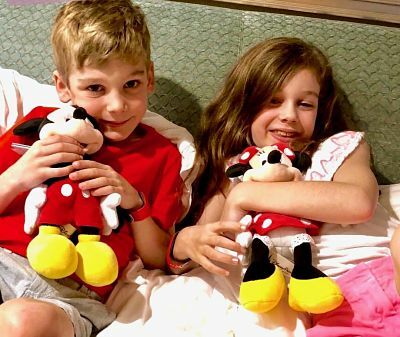 During our cruise, they gave me and my brother a special Mickey and Minnie stuffed animal to remember them by - I sure will! The lounge has everything. You can even get appetizers and desserts! We were able to get soda cans, water bottles and popcorn for shows. There was even beer and wine for mom and dad. Thanks again Kemisha and Andy for our new friends! If you go to the pool, you can watch Disney movies on a HUGE TV! It was fun to watch them while swimming. I can’t do that at home. The waterslides were awesome. There were two, one was very fast and a little scary, and the smaller one was slower and more built for kids. An adult can ride it, but it would be more fun for smaller children. There was sometimes a line for the slides, it depended on what time you wanted to go on them, but it wasn’t too bad. The other side of the deck had a huge area for younger kids to splash around in - I didn’t play there too much since I love swimming. And by the pool there is free ice cream! The Disney Cruise left memories I will never forget! I loved the cruise so much and really want to go on one again. I give the Disney Cruise 4-3/4 stars. I would have given it 5 stars, but I didn’t think the food at the kids club was the best. Other than that, this trip was epic! If you can, I definitely recommend taking a cruise on Disney Magic. It is whole family fun! 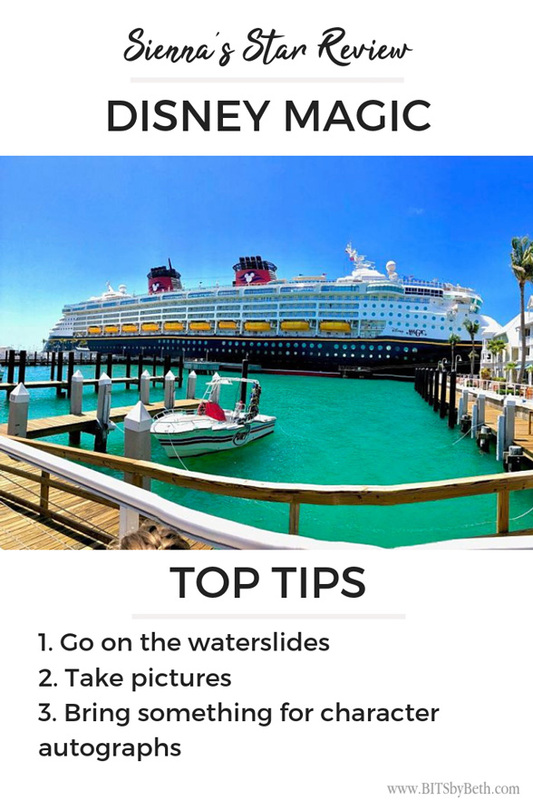 Go on the waterslides! They are so fun. Take photos of this wonderful experience! Make sure to see all the characters and bring something for them to sign.